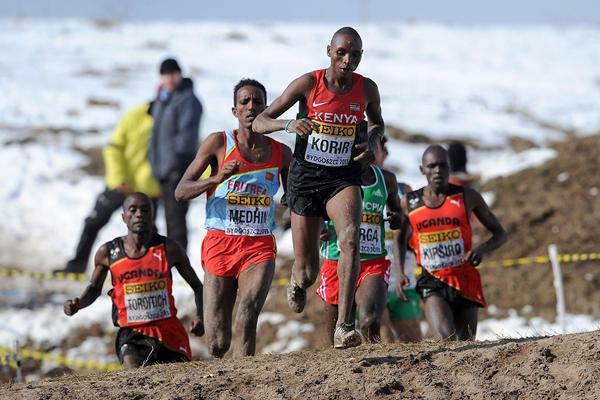 The countdown starts in earnest to the IAAF World Cross Country Championships, Guiyang 2015 as Thursday (18) marked just 100 days to go until China stages the world’s premier cross-country competition for the first time. It will be only the third time that the championships have been staged in Asia, following on from 2005 in Fukuoka (JPN) and 2009 in Amman (JOR), since they were inaugurated back in 1972. With the deadline for preliminary entries still more than a month away, it would be premature to speculate on the numbers of the runners and IAAF member federations that will be represented in Guiyang. However, two well-known names have already expressed a keen interest in being on the start line of the races on 28 March.